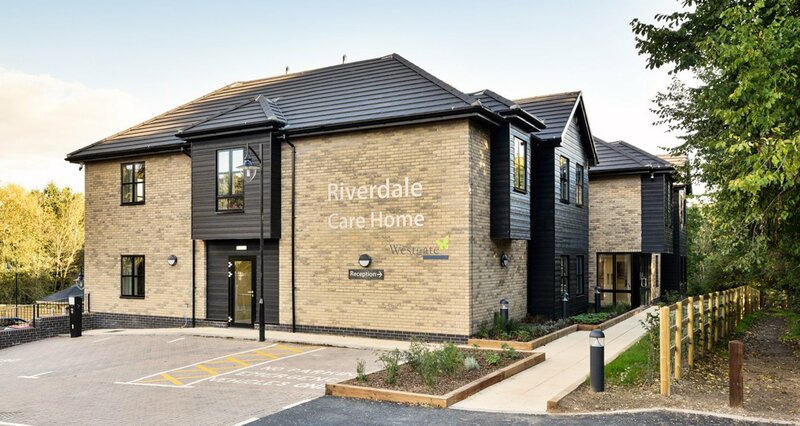 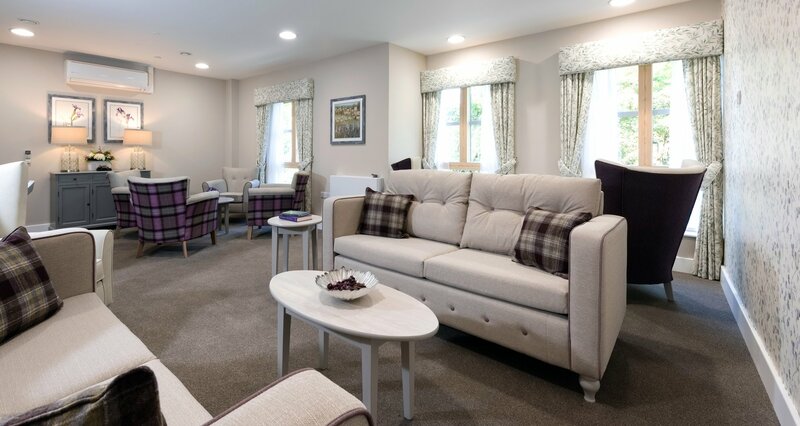 Riverdale is a 40 bedroom care home which sits on a former paddock in a woodland setting at the end of Duggers Lane, adjacent to the river Brain in Braintree, Essex. 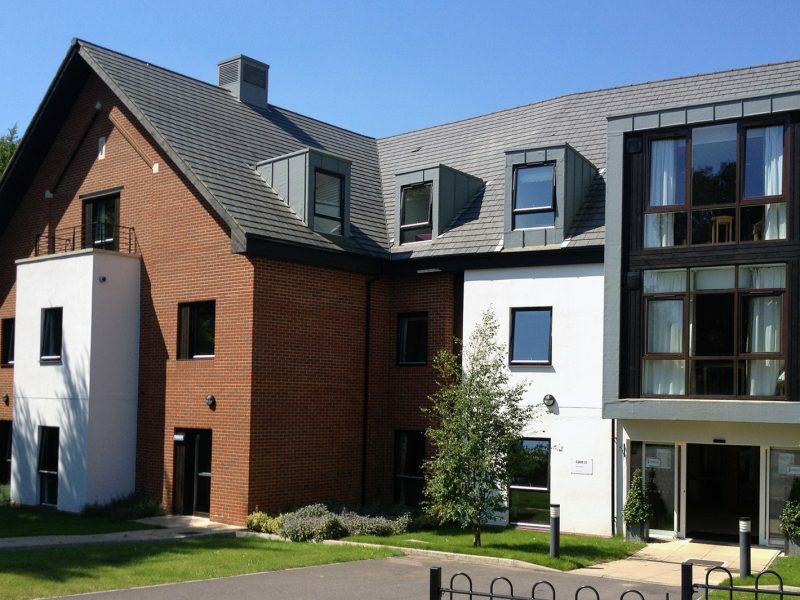 The existing site has a considerable change in levels between the bridal way public footpath to the West of the site and the river Brain, which forms the Eastern boundary. 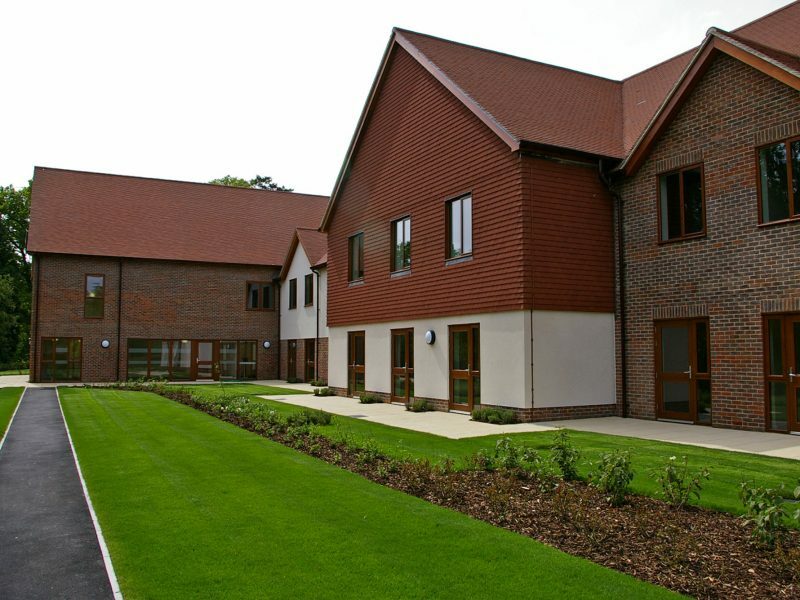 There were also a number of planning constraints to restrict the height bulk and impact of the new care home on this sensitive environment with considerable changes in ground level. 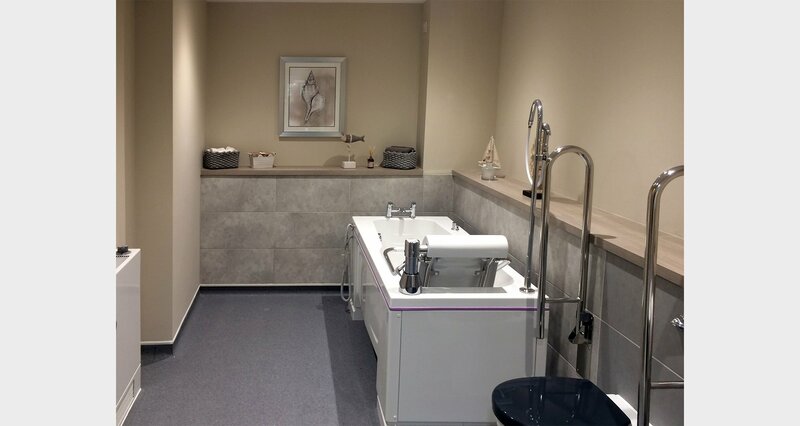 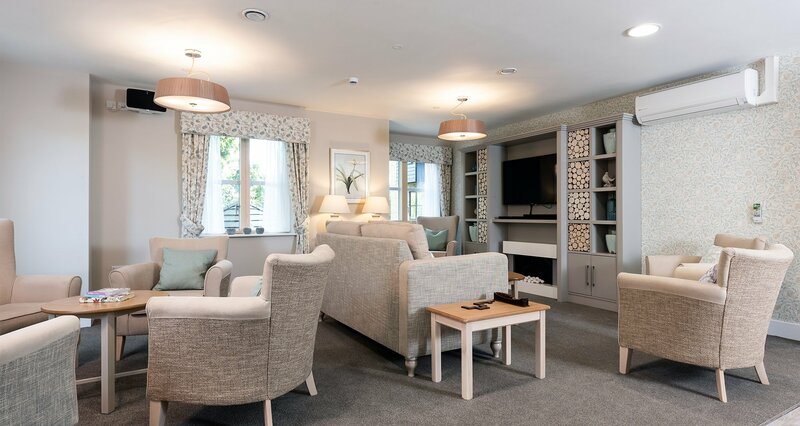 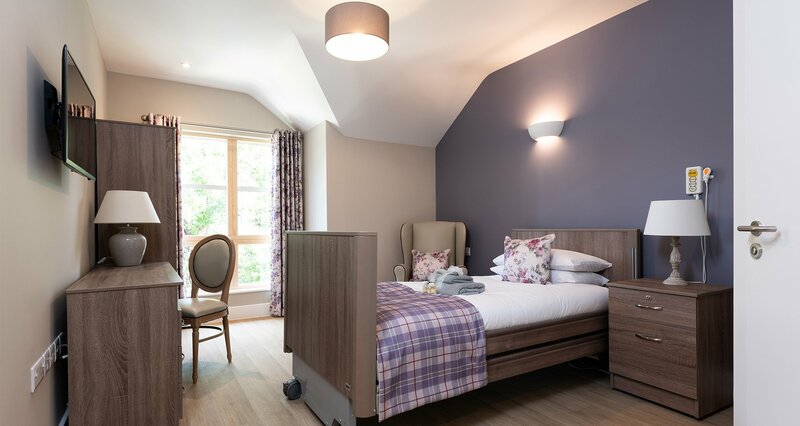 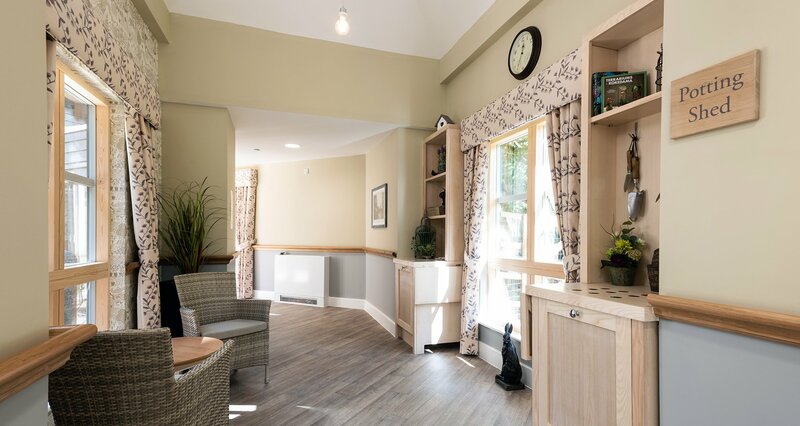 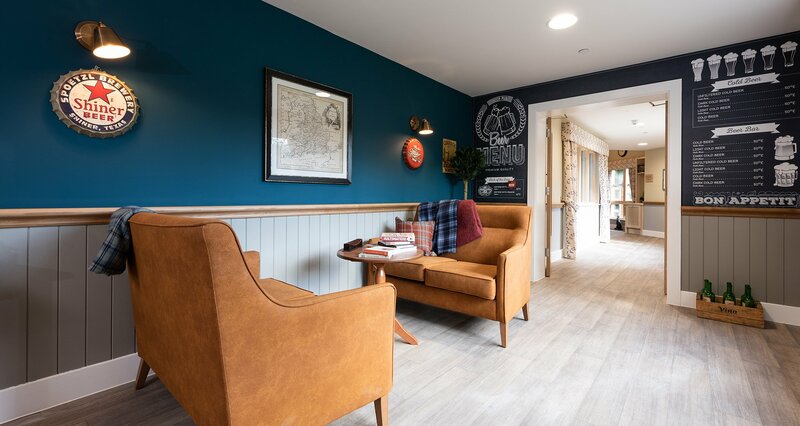 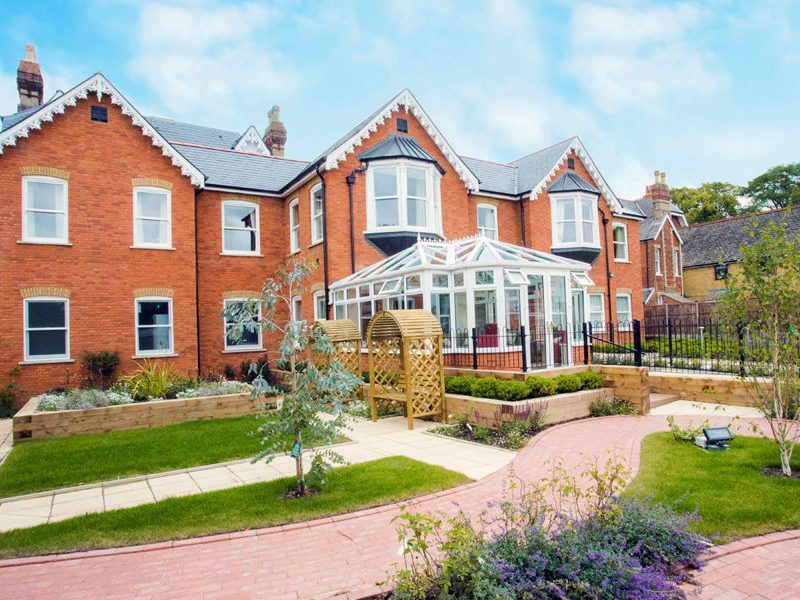 The design solution, which takes inspiration from Essex Mills, was to create a fully accessible care home within the building and external spaces. 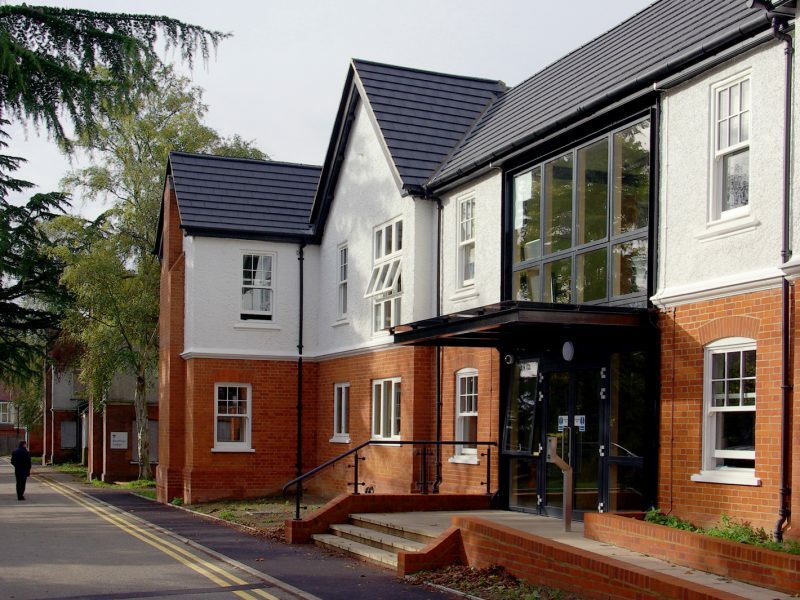 It was conceived as 4 linked pavilions with recessed links to articulate the split-level strategy which appears as 2 storeys from the footpath to 3 storeys on the river bank boundary, which has been discreetly concealed by the upper level pavilions. 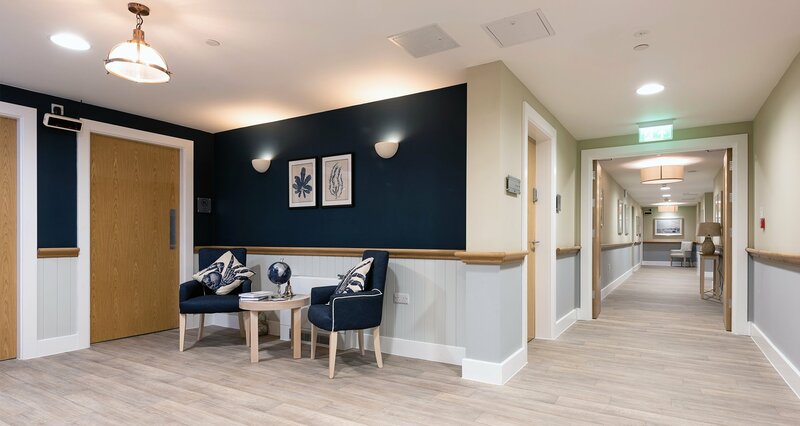 Within the building, a minimalist mill theme has been reinforced using appropriate simple materials such as tongue and grooved joinery and pencil round skirting and architraves. 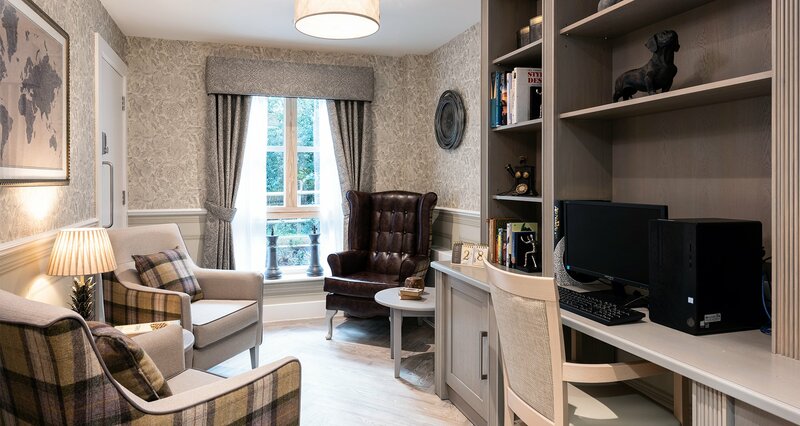 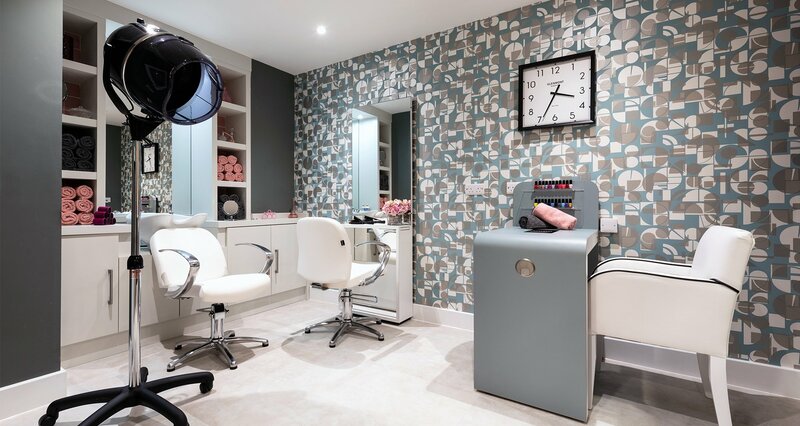 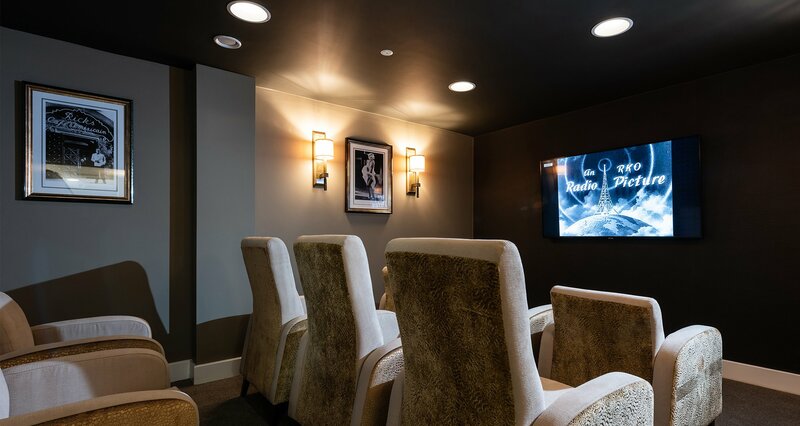 The furniture and finishes were chosen by the client and interior designer to complement this aesthetic and provide a wide range of environments from calm to stimulating. 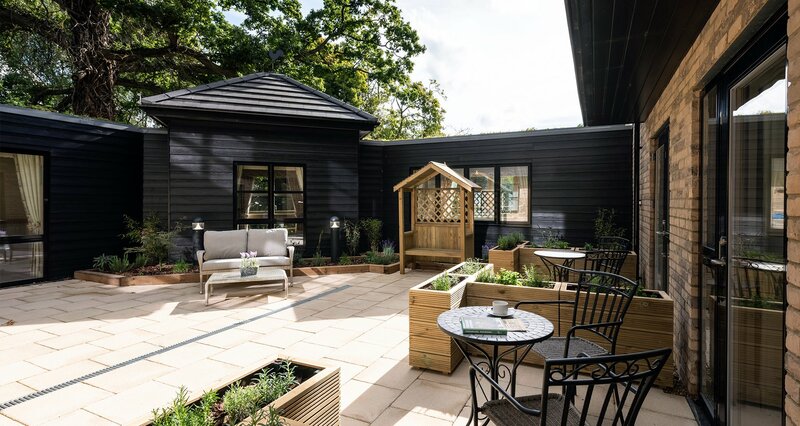 This quality model of care incorporates a wandering path which has proved to be highly successful, particularly for residents who suffer with dementia as it gives unrestricted safe and secure access to a delightful sunlit sensory garden to further promote wellbeing. 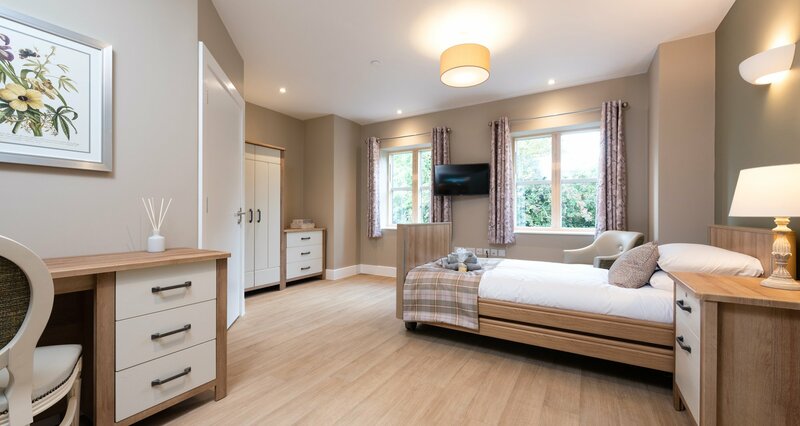 Companion rooms have also been introduced to allow the potential for partners to continue sharing their future lives together.